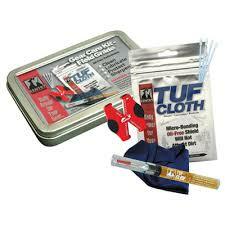 Tuf Cloth is a brilliant system for keeping you field cutlery, favourite knife or firearm in tip top condition. 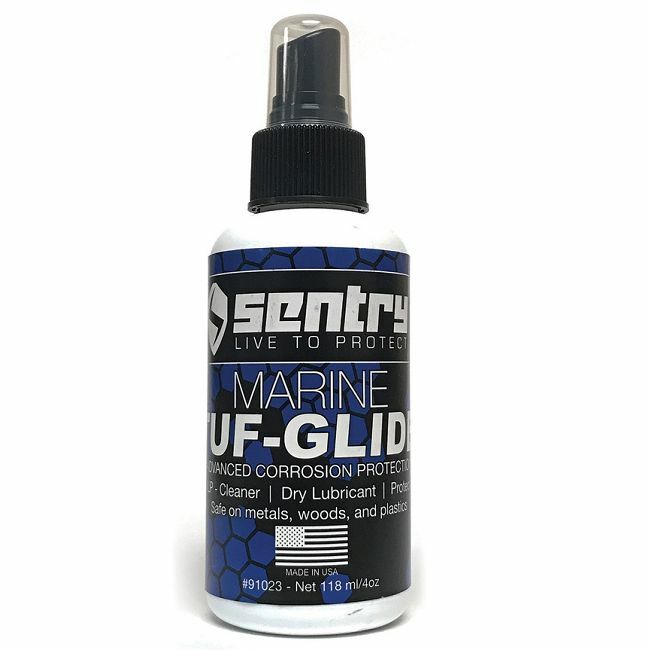 It is a great oil free system that you can use for cleaning as well as lubrication and protection. It is Micro-Bonding Oil-Free Shield that will not Attract Dirt. It is an oil-free technology provides a revolutionary upgrade from oil and silicone rags. 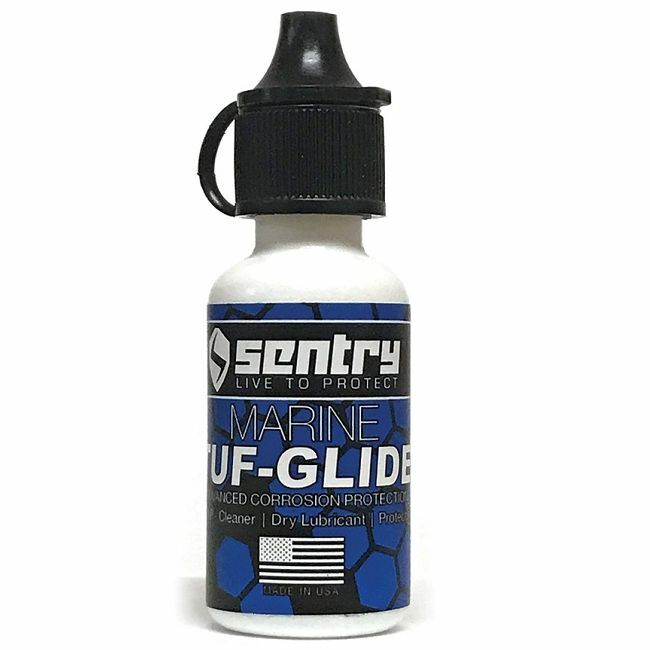 It delivers lubrication and protection for today's firearms, knives, tactical gear and collectibles. Quick clean on your gun bench, the range or in the field. Spill-proof pack; long-lasting, lint-free impregnated cloth. 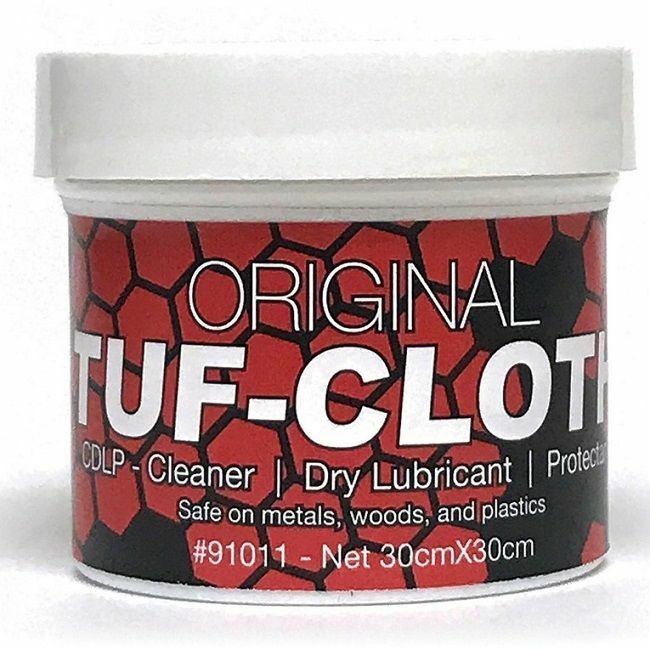 Wiping with TUF-CLOTH gives you cleaning, rust protection and lubrication. 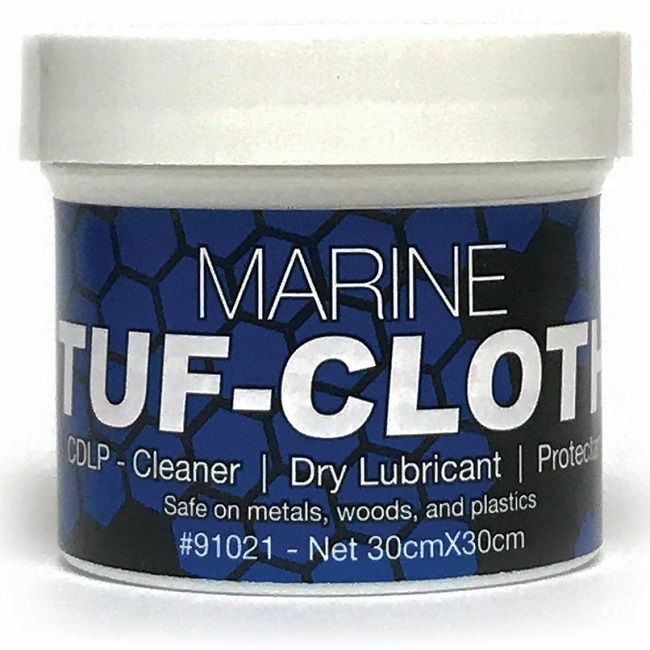 Pure mineral spirits is the fast drying carrier for the active ingredients, so TUF-CLOTH cleans as it transfers the lubricants and protectants to all surfaces of your gear for 100% protection. 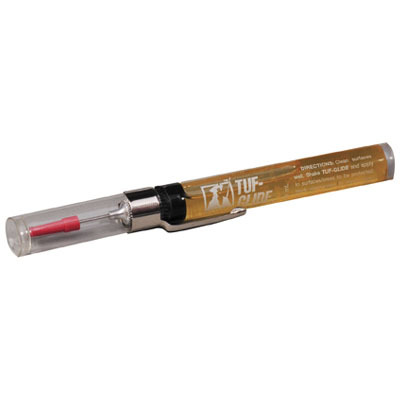 It evaporates, and Sentrys proprietary ingredients bond to the surface; this bonding assures long-lasting effectiveness. TUF-CLOTHs waterproof protection will not wash off or thicken in the cold (even down to -40°F/-40°C). It is dry to the touch so will not attract dirt like oil-based products, nor does it leave a slippery film like silicone. It is safe to use on wood and most plastics. 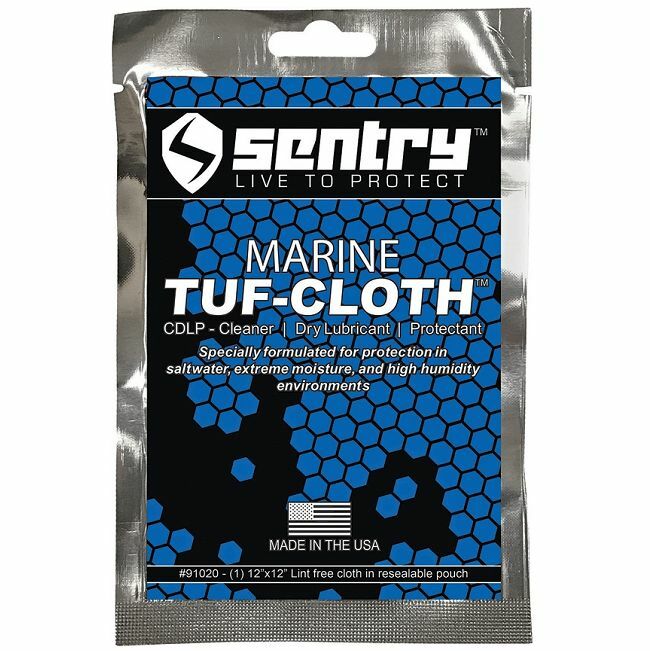 TUF-CLOTH is user-adjustable; either by drying in air or adding pure mineral spirits. A wetter cloth applies a thicker shield of protection that dries more slowly. The excess can be buffed off after it is dry without compromising performance. A dry TUF-CLOTH makes a terrific polishing cloth; it beautifies wood and gives blue metals a deep luster. 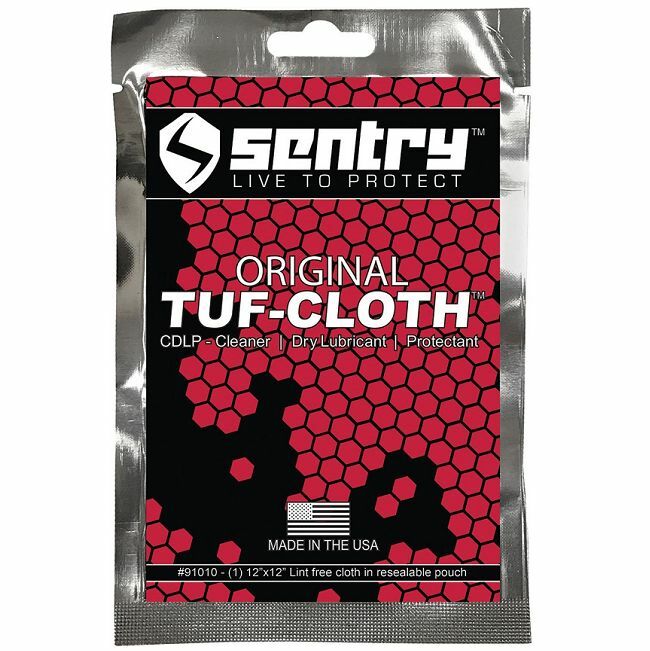 Use TUF-CLOTH to protect equipment, firearms, knives, wood and all metal components. It maintains its effectiveness even when it is wet with water, and it will not harm most plastics.